You are here: Home > MIDI music! > Carnival tunes. Friday April 26th 2019, Saint Alida. February is an engagement month, and it couldn’t be quoted one of the formal days of this month which wouldn’t be more or less dedicated to the search of the fiancé or the fiancée. Candlemas, February the 14th (dedicated to St Valentin who would give back sight to a young pagan girl), Shrovetide, the brands have common features. The whole generaly takes place around an open fire or a fireplace: divinatory practices by throwing an handful of ashes to burning hot firebrands, or attribution of a fiancée around bonfires or crossing through burning hot charcoals, the Ashes fiancées lead us to Cinderella, the Ashes Queen, whose several versions locate the tale at Carnival time. On the origin, the Ashes fiancée was the embodiment of the new year, and her engagement with the young Sun (christianized in St Valentin), symbol of the spring fertilizing forces, maked up a magic ritual fated to promote weddings and insure them fecundity. But, if fatality, which presides at the course of seasons and year, leads the dance, the old year isn’t always definitely defeated in the fights of the new year. It isn’t out of the ordinary that, rising again from her ashes, she begins fighting again at the previous day of spring. As a symbol of the old year, the old queen, the old witch or the Cinderella’s stepmother will be put to death, burned and reduced to ashes during Lent. According to P. Saintyves, Les Contes de Perrault et les Récits parallèles (Perrault’s Tales and Parallel Narratives). So King Carnival could be the good-natured survival of the archaic symbol of the old year, which is reduced to ashes during Lent. Moreover, isn’t her wife called « La Carême » (The Lent)? 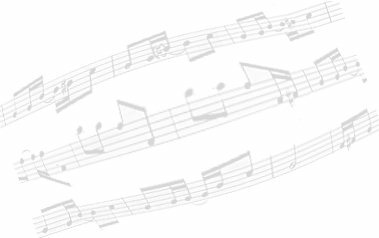 When existing, the 2nd theme is played on a more joyful rhythm and is specific to each area. The “nissart” Adiéu paure Carneval is written on a duple time with quarter = 108, while the “limouxin” Adiu paure Carnaval is written in a larger four-four time with quarter = 120. Adiéu paure Carneval (Farewell, poor Carnival), wailing. You are going away, and I’m coming... The young new year is coming to replace the old one. This end of carnival lament is sung during King Carnival’s cremation, alternately with a farandole (Carnaval es arrivat). Traditional from County of Nice, MIDI scheduling by J.-G. Maurandi. Adiu paure Carnaval (Farewell, poor Carnival). Version played during las fecos de Limous, the carnival of Limoux (Aude, France). Les Tendres Souhaits (Tender Wishes), or “Why am I not the fern?”, ballad. Poem by Charles-Henri Ribouté, music by Antoine Albanese ? Giovanni Battista Pergolesi ?, MIDI scheduling by J.-G. Maurandi. Air d’Albanese (Albanese’s tune). Traditional from Auvergne. Nouvé dai ciripicieu (Christmas carol of the ciripiciéu), carol from the County of Nice. O soñjal en hon pec’hejoù (Thinking about ours sins). Traditional from Brittany. Bonne nuit, les petits (Good night, the children), lullaby, ending theme music of the TV program broadcasted by french ORTF from 1962. Music by Antoine Albanese ? Giovanni Battista Pergolesi ?, MIDI scheduling by J.-G. Maurandi. These traditional tunes for Carnival were probably played by the vespa, an old town band. La Barba (The Beard) or La Ceba (The Onion). Carnaval es arrivat (Carnival is arrived). Sièn mòrou, lou sabèn (We are black, we know that), or Lu mòrou (The Moor). Traditional from County of Nice, MIDI scheduling by J.-G. Maurandi. From 1903 up to 1961, the recreation committee of the city of Nice has organized an annual contest to select the official song of the year. Here is the list of the award-winning official songs. 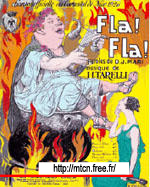 1903 La Maire Ciacrin (Mother Ciacrin) Lyrics by François-Dominique Rondelly, known as Menica Rondelly, music by Hyacinthe Tarelli, known as Cinto Tarelli. 1904 Onour à Carneval (Honour to Carnival) Lyrics by François-Dominique Rondelly, known as Menica Rondelly, music by Hyacinthe Tarelli, known as Cinto Tarelli. 1905 E viva Carneval ! (Long Live Carnival!) Lyrics by François-Dominique Rondelly, known as Menica Rondelly, music by Hyacinthe Tarelli, known as Cinto Tarelli. 1906 Bouh, bouh ! Ouh, ouh ! Lyrics by François-Dominique Rondelly, known as Menica Rondelly, music by Hyacinthe Tarelli, known as Cinto Tarelli. 1908 Raù ! Taù ! Plaù ! Che rire ! (Crash! What a laugh!) Lyrics by François-Dominique Rondelly, known as Menica Rondelly, music by Hyacinthe Tarelli, known as Cinto Tarelli. 1909 Es Carneval (It’s Carnival) Lyrics by François-Dominique Rondelly, known as Menica Rondelly, music by Hyacinthe Tarelli, known as Cinto Tarelli. 1910 Chahut ! Chahut ! (Uproar! Uproar!) Lyrics by François-Dominique Rondelly, known as Menica Rondelly, music by Hyacinthe Tarelli, known as Cinto Tarelli. 1911 Aih. Aih. Aih. (Ow! Ow! Ow!) Lyrics by François-Dominique Rondelly, known as Menica Rondelly, music by Hyacinthe Tarelli, known as Cinto Tarelli. Traditional from County of Nice, harmonization and MIDI scheduling by J.-G. Maurandi. 1912 Patapoum ! Lyrics by François-Dominique Rondelly, known as Menica Rondelly, music by Hyacinthe Tarelli, known as Cinto Tarelli. 1913 Pif ! Paf ! Lyrics by François-Dominique Rondelly, known as Menica Rondelly, music by Hyacinthe Tarelli, known as Cinto Tarelli. 1914 Pin... Pan ! Lyrics by François-Dominique Rondelly, known as Menica Rondelly, and André Leneka, music by Hyacinthe Tarelli, known as Cinto Tarelli. 1921 Gnic ! Gnac ! Lyrics by François-Dominique Rondelly, known as Menica Rondelly, and Antony Fenouille, music by Hyacinthe Tarelli, known as Cinto Tarelli. 1922 Vèlou ! Vèlou ! (See him! See him!) Lyrics by François-Dominique Rondelly, known as Menica Rondelly, and Antony Fenouille, music by Hyacinthe Tarelli, known as Cinto Tarelli. Traditional from County of Nice, harmonization and MIDI scheduling by J.-G. Maurandi. 1923 Fai anà ! (Let’s go!) Lyrics by François-Dominique Rondelly, known as Menica Rondelly, and Antony Fenouille, music by Hyacinthe Tarelli, known as Cinto Tarelli. 1924 Nisskiri Lyrics by Émile Dernay, music by Charles Coda. 1925 Nice en folie (Nice gone mad) Lyrics by Dominique Jules Mari, music by A. Pyns. 1926 Fla ! Fla ! Lyrics by Dominique Jules Mari, music by Hyacinthe Tarelli, known as Cinto Tarelli. Traditional from County of Nice, harmonization and MIDI scheduling by J.-G. Maurandi. 1927 Coucou ! (Hello!) Lyrics by Dominique Jules Mari, music by Hyacinthe Tarelli, known as Cinto Tarelli. Traditional from County of Nice, harmonization and MIDI scheduling by J.-G. Maurandi. 1928 Tralala ! (Ha, ha!) Lyrics by Théo Martin, music by Hyacinthe Tarelli, known as Cinto Tarelli. 1929 Ah ! Ah ! Lyrics by Charles de Richter, Jules Eynaudi, music by Hyacinthe Tarelli, known as Cinto Tarelli. Traditional from County of Nice, harmonization and MIDI scheduling by J.-G. Maurandi. 1930 Carnaval, y’a bon ! (Carnival in the dark continent) Lyrics by Théo Martin, music by Mario Delvar. 1931 Pi... ouit ! Lyrics by Dominique Jules Mari, music by P. Harold. 1932 Mistigri Lyrics by Dominique Jules Mari, music by Sander Hyams. 1933 Fà-la ballà ! (Let she dance!) Lyrics by Jean Lémont, music by Mario Delvar. 1934 Ris ! Ris ! (Let you laugh!) Lyrics by Dominique Jules Mari, Pierre Porte, music by Jo Trave. 1935 Vaga d’aquì ! Vaga d’aïa ! Lyrics by Dominique Jules Mari, music by A. de Pierlas. 1936 Faguès un sourire (Give a smile) Lyrics by René Lecourt, music by Louis Raspini. 1937 Lu Milioun de Carneval (Millions from Carnival) Lyrics by René Lecourt, Jouan Nicola, music by Louis Raspini. 1938 Sensa blaga (You’re kidding!) Lyrics by René Lecourt, Jane Bermond, music by Louis Raspini. 1939 Siguèn joyous ! (Let’s be merry!) Lyrics by René Lecourt, Jane Bermond, music by Louis Raspini. 1946 Me revoilà ! (It’s me again!) Lyrics by Jouan Nicola, music by Jean Antiga and Bonacci. 1947 Ah ! Ah ! Ah ! Lyrics by Jean Riosecco, Francis Gag, music by Lucien Delrieu, Georges Roux. 1948 Et zou ! Lyrics by René Montrefet, Jérôme Carlin, music by René Montrefet. 1949 Atomicus Lyrics by Théo Martin, music by A. Sanderson. 1950 Carnaval (Carnival) Lyrics and music by Roger Lucchesi and Louis Unia. Traditional from County of Nice, harmonization and MIDI scheduling by J.-G. Maurandi. 1951 Oh ! La, la ! La Fontaine Lyrics by Camille Sauvage and Jean Levert, music by Jean Levert. 1952 Flon, flon (Oompah) Lyrics by Jean-Fernand Fabre, Jouan Nicola, music by Tony Rainaud. 1953 Carnaval circus (Carnival’s circus) Lyrics by Jérôme Carlin, music by Claude Noël. 1954 Carneval toujou (Carnival always) Lyrics by A.P. Court, music by Marius Ausello. 1955 Carneval a dich (Carnival said) Lyrics by A.P. Court, music by Marius Ausello and Georges Truchi. 1956 Zon zon Lyrics by A.P. Court, music by Marius Ausello and Georges Truchi. 1957 Bon appétit... Carnaval ! (Bon appétit... Carnival!) Lyrics by Jérôme Carlin, music by Marius Ausello. 1958 Carnaval, oh ! Hé ! Lyrics by Jean-Fernand Fabre, music by Tony Rainaud. 1959 Bim, bam, boum ! (Bim, bang, boom!) Lyrics by Jean-Fernand Fabre, Francis Gag, music by Tony Rainaud. Traditional from County of Nice, harmonization and MIDI scheduling by J.-G. Maurandi. 1961 Se vas à Nissa (If you are going to Nice) Lyrics and music by Fred Raoux. 1986 Rei dai vila dau mounde (King of the towns from the world) Lyrics and music by Gé Albarelli. 1987 Rei de festa – Vai ! Vai ! Vai ! (King of Feast – Go! Go! Go!) Lyrics and music by Gé Albarelli. 1988 Lou Rei vutanta vuech (The King 88) Lyrics and music by Gé Albarelli. 1989 Au païs de l'amour (In the country of Love) Lyrics and music by Gé Albarelli. 1990 Rei dòu rire (King of Laugh) Lyrics and music by Gé Albarelli. 1991 Au bal dei fouòl de Carneval (At the Carnival's jesters dance) Lyrics and music by Gé Albarelli. 1947 À tu ! À iéu ! (Your turn! My turn!) Lyrics by Jacques Barjac, Jouan Nicola, music by François Mattei. Traditional from County of Nice, MIDI scheduling by J.-G. Maurandi. 1948 Youp ! Youp ! official song of the merry subject of His Majesty Carnival. Lyrics by Jean Riosecco, Francis Gag, music by Lucien Delrieu. Cansoun carnavalesca (Carnival’s Song). Lyrics by Jules Bessi, 1888. Nissa Carneval (Nice Carnival). Lyrics by Jules Bessi, music by Léon Pivet, 1889. Carneval, Carneval (Carnival, Carnival). Nissart lyrics and music by Albert Tosan. Carneval es mouòrt (Carnival is dead). A childlike round dance irreverent towards His Majesty Carnival! Viva lo gobi ! (Long Live the “gobi”!) Nissart lyrics and music by Louis Pastorelli. Yes Bomb’Ai (Yes Bomb Ouch!). Nissart lyrics by Jean-Pierre Baquié, music by Serge Pesce. Le carnaval de Nice sur le site Wikipedia.